Hygienist Flower Note 4UPLaser Reminder Cards! This 4up recall card is designed to get your patients..
DOG WE MISS SMILE 4-UPLaser Reminder Cards! This 4up recall card is designed to get your patients at..
A Friendly Reminder 4-UPLaser Reminder Cards! This 4up recall card is designed to get your patients.. Animals with Braces 4UpThis 4-Up recall card is designed to get your patient's attention. Each sheet..
Beach Chair-4UpLaser Reminder Cards! This 4up recall card is designed to get your patients attention..
Blue Reminder Postcard 4UPLaser Reminder Cards! This 4up recall card is designed to get your patient.. Bright Smile Postcard - 4UPLaser Reminder Cards! This 4up recall card is designed to get your patien.. 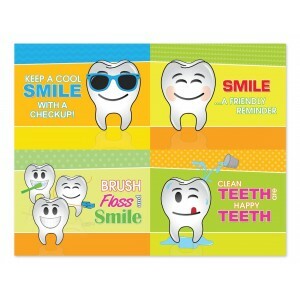 Dental Checkup Postcard 4UPLaser Reminder Cards! This 4up recall card is designed to get your patien..
Emolarcon 4-UpThis 4-Up recall card is designed to get your patient's attention. Each sheet has 4 pe.. Friendly Reminder Postcard- 4UPLaser Reminder Cards! This 4up recall card is designed to get your pa..
From Your Dentist Postcard (4UP)Laser Reminder Cards! This 4up recall card is designed to get your p..  Gentle Reminder Postcard - 4UPLaser Reminder Cards! This 4up recall card is designed to get your pat..